Better coverage today, with more than half the island scoured for migrants on another decent day. As a result the Robin total was up to 53 and Dunnock's to 24 and its clear from ringing that there's a fairly constant turnover of birds. The day's year list additions were at least 1 Collared Dove and Greenfinch while yesterday's highlight-the Grey Wagtail was seen again in a couple of places. 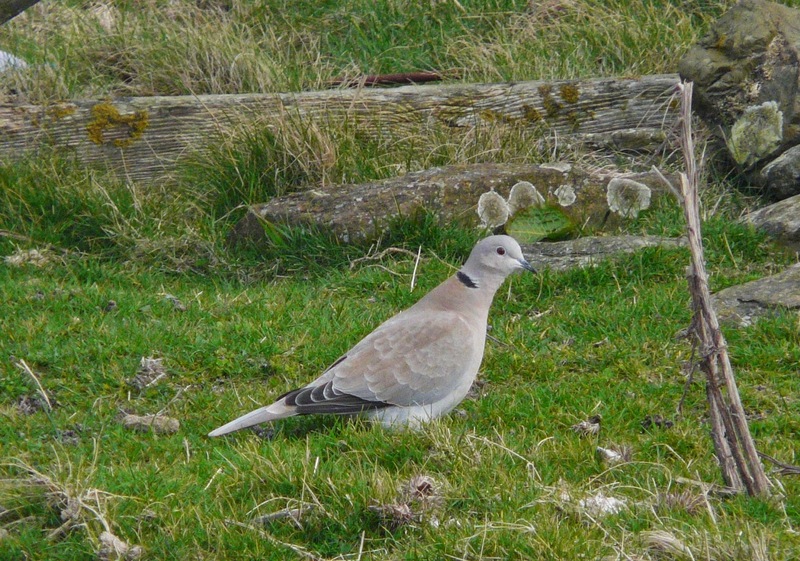 15 Woodpigeons (including a flock of 10) was just short of the islands record count. The Tundra Bean Goose remains and there was also a Sparrowhawk, 2 Mistle Thrushes, 11 Chiffchaffs, a Rook and the Common Redpoll seen. 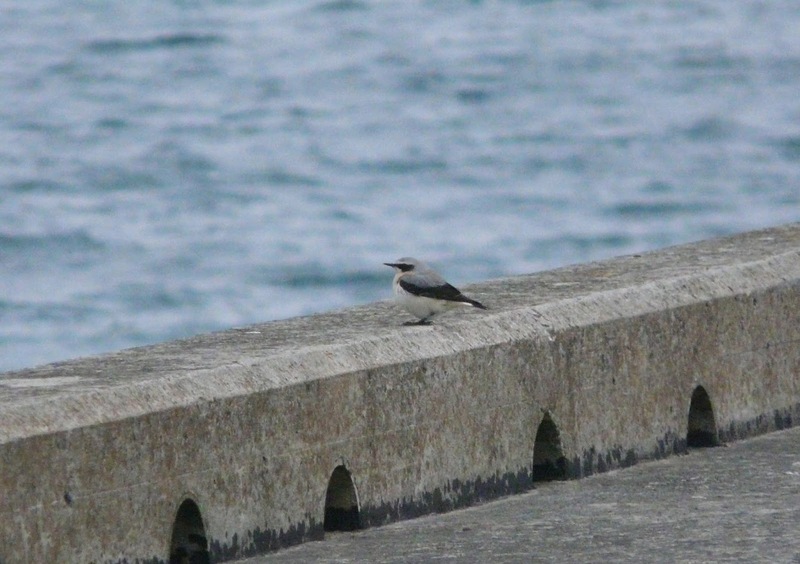 More sunshine and more easterly winds have certainly bought plenty of migrants the last few days. So, its a shame were man down (or man in Israel!) currently as there are birds everywhere! 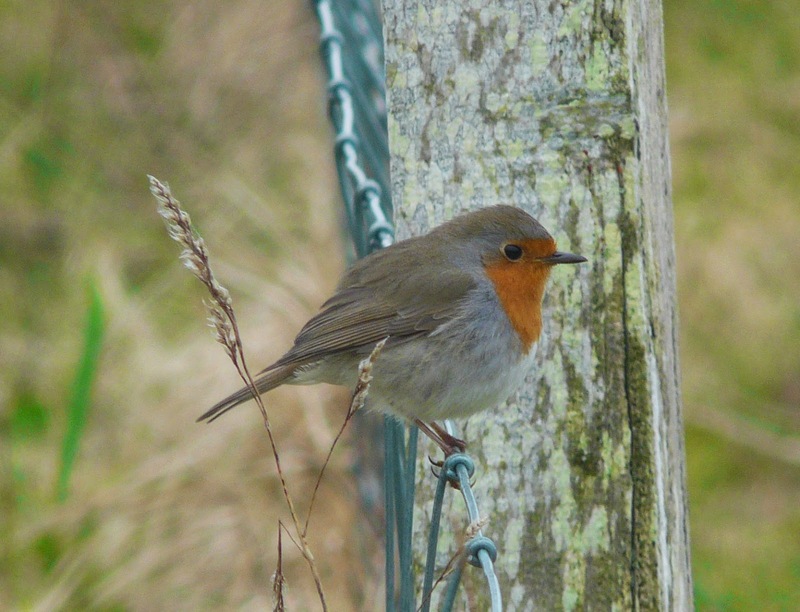 On 29th counts from the 1 (of 6) census routes covered offered totals of 16 Robins, 7 Dunnocks, 6 Chiffchaffs and a handful of other expected migrants. 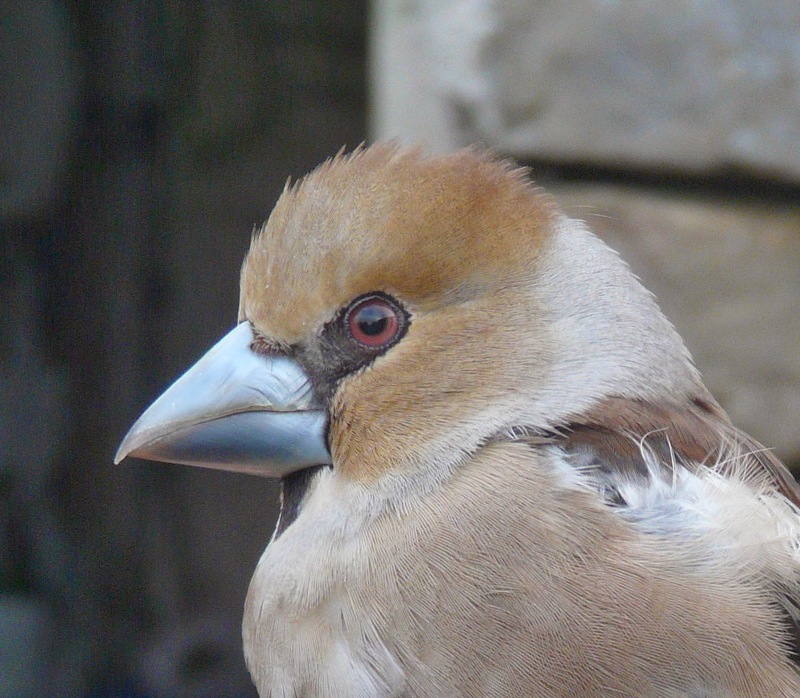 There was something for everyone on 30th with a Hawfinch-caught and ringed in the morning the prettiest bird of the day delighting fog-bound guests and getting things off to a fine start. 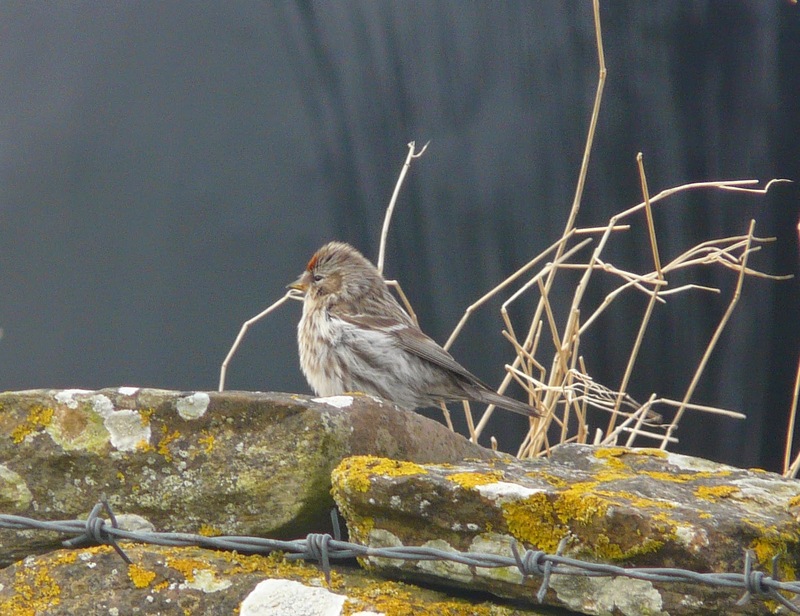 For the ringing buffs, there was a Dutch ringed Common Redpoll-we think it's the first from this source to have been controlled here. For the rarity hunter (ok, so its not a Bluetail) but with only 1 record since 2011, a Grey Wagtail near Claypows was welcome and has been rarer here recently than both Blyth's Reed and Paddyfield Warblers!! And for the Gull enthusiasts, there was er.... a Glaucous x Herring Gull hybrid at Bridesness. Time split between the fully covered Bridesness area and Holland / the Observatory also produced the year's first Black Redstart and Mistle Thrush and common migrant totals of at least 34 Robins, 10 Dunnocks, 13 Chiffchaffs, 9 Song Thrushes and 4 Chaffinch-but clearly there's a lot more than were managing to record around. The last few days have seen a steady trickle of arrivals in much more favourable easterly winds and some rather pleasant weather. The 26th was simply a stunning day with glorious sunshine throughout, which must have been ideal for passing migrants to make good progress without needing to land on North Ronaldsay. It was a little bit quieter than expected but the first Dunnocks (3) and White Wagtail were the most notable sightings of the day and there was a significant build up of Meadow Pipits to 140 and a juvenile Iceland Gull also seen. The Glossy Ibis was at Gravity again on 27th, 4 Chiffchaffs were scattered about while late arriving migrants included the first Wheatear, a Chaffinch and a handful of Robins new into the Observatory area in the last hour of daylight. The Golden Plover flock has built up to 224 individuals in the last few days although 3 Jack Snipes at Westness were perhaps wintering birds rather than incomers. 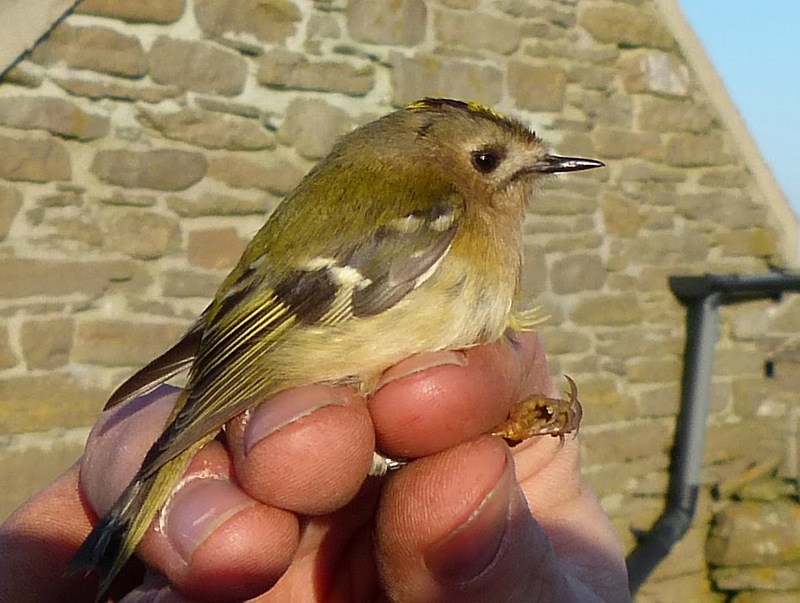 Vocal Goldcrests were evident from dawn on 28th in the gardens at Holland with 9 on the island altogether and other passerines included 9 Dunnocks, 11 Robins, another Wheatear and at least 2 Siskins. Another 'littoralis' Rock Pipit was at West Beach and the Tundra Bean Goose was seen again. This, the first Chiffchaff of the year can be seen to be wearing a ring. But despite appearing in the Observtory area, this guaranteed ringing 'control' has so far evaded the traps. Everyone stayed indoors on wet and windy 23rd, but with the sun out and an easterly wind blowing plenty of the island was covered on 24th. 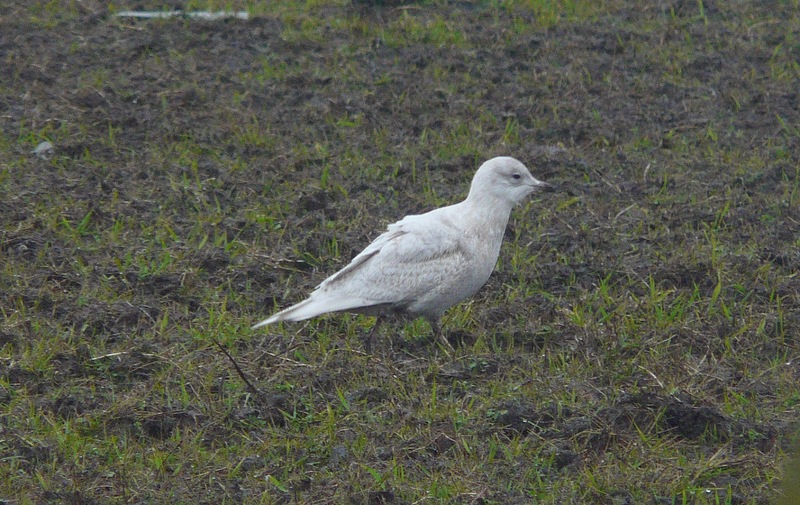 There were no spring migrants as such, other than a trickle of Wagtails, Meadow Pipits and Skylarks with just an 1st winter Iceland Gull (not the usual bird) at Bridesness and 2 Woodpigeons the only other sightings of note. A quick tour around the island revealed the Glossy Ibis to be still present at Gravity, and amongst the many Greylag Geese were the long-staying Tundra Bean Goose in the middle of the island and the Greenland White-fronted Goose was still in the north along with the Iceland Gull at Neven. After a teasing couple of days with a few spring migrants, the weather unfortunately returned to the norm of westerly winds and varying amounts of rain, the only new occurrence was the discovery of a dead Long-eared Owl in Holland Gardens whilst a single Bean Goose, Canada Goose and up to 4 Pink-footed Geese remain. On a much more exciting note we've seen a continued increase in display activity from the many breeding Lapwings and Oystercatchers, Black-headed Gull numbers are rising daily at their breeding sites as ever growing numbers of Fulmars are prospecting along the outer dyke and Black Guillemots ashore on the bolder beach at Gretchen for the first time this year. NRBO has joined forces with 'Traveling Art' and are offering a week long course, or single day tuition based at the Observatory from 30th May 2014. 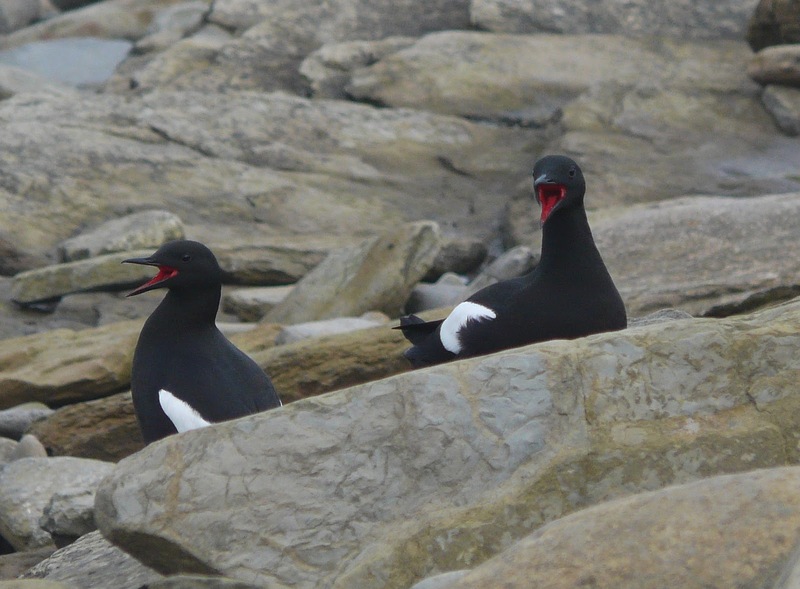 This is a fantastic way to make even more of a visit to North Ronaldsay, experience the islands wildlife and improve your creative/artistic skills with expert guidance at the same time. A fine and abnormally warm day saw a few spring firsts with 2 Siskins in the north, a Goldcrest at the Bird Observatory and a Sparrowhawk dropped into Holland late afternoon. 2 Rooks flew north and 3 others were by Cruiserbreck. Also notable was an increase in Rock Pipits. Light south-westerly winds continue to provoke a southward passage of mostly Skylarks, with 105 passing through plus 10 Meadow Pipits. The Glossy Ibis was again near Gravity but remains flighty, and 4 Robins included two trapped at Holland. 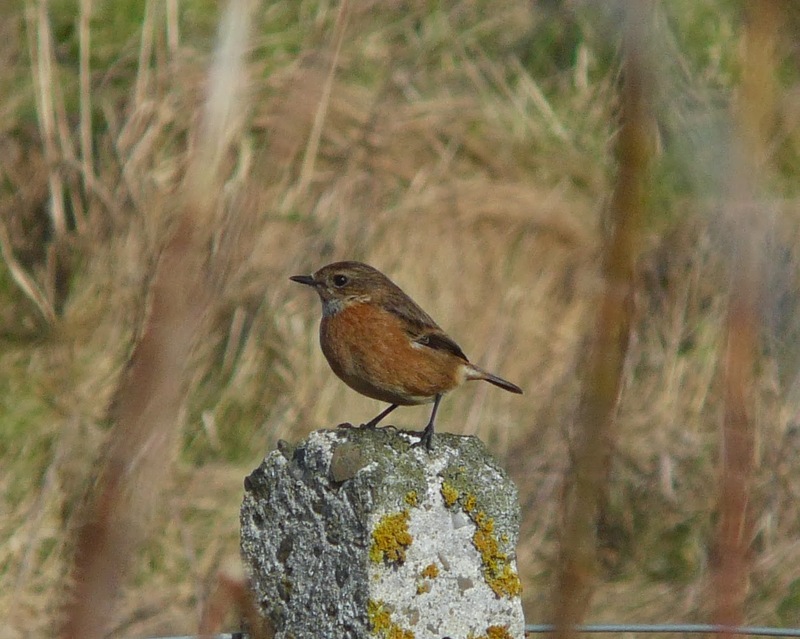 New migrants included a third stonechat, a Rook and a Chaffinch, whilst the Green-winged Teal was still present. Skylarks continue to pass through and Black-headed Gull numbers are creeping up on their breeding sites at Hooking and Brides'. The Glossy Ibis put in a brief appearance in the morning, then vanished as per usual. The female Stonechat had moved to Ancum Willows, a Pied Wagtail was on the Links where a Rook appeared to come in and a second Bean Goose appeared near Waterhouse. After a continued search the Glossy Ibis was finally relocated, on a small wet area near South Gravity. Only the second North Ronaldsay record, the former being on 6th September 1986. 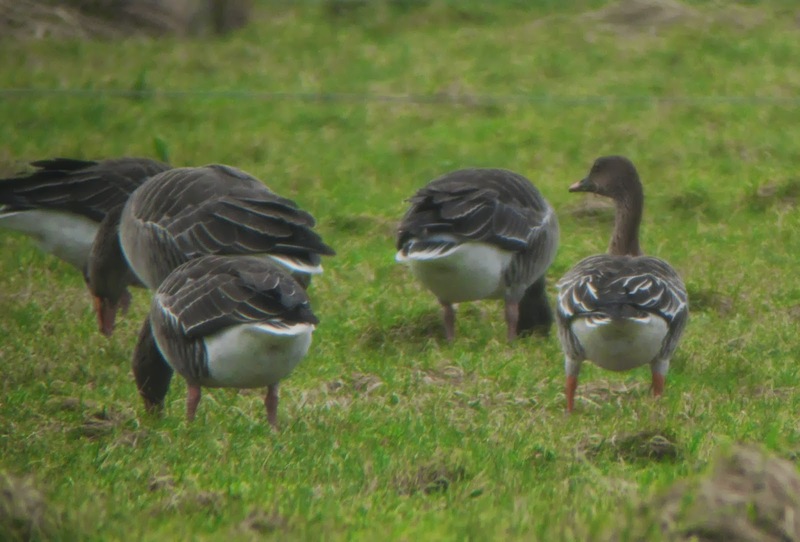 Both the Canada and Tundra Bean Goose were still present and a new Greenland White-fronted Goose was with 5 European White-fronted Geese. At least 40 Twite were in the weedy field at Gravity and a Robin was in Holland. Skylarks were trickling south through the morning with 49 logged plus a single Snow Bunting. The Green-winged Teal remains on Gretchen and a Robin and 2 Water Rails were by T1.